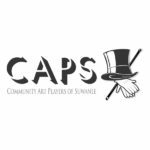 Suwanee Performing Arts is a nonprofit community arts organization founded on the principle that art is life and ignites a passion for excellence in community through the performing arts. In 2003, Berneta Bock Davis and Patty Etherton opened the doors to Suwanee Academy of the Arts with the purpose of giving young artists a loving and nurturing place to study. Bock and Etherton, both performers themselves, knew firsthand how valuable the arts are to a community. Shortly after opening SAA’s doors it became apparent to Bock and Etherton that teaching an artistic discipline and nurturing talent in the classroom were only part of the total arts experience. The community offered few to no opportunities for live performance, thus Suwanee Performing Arts was founded and established as a 501(c)3 in 2007. Click a link below to learn more about SPA and its programs.